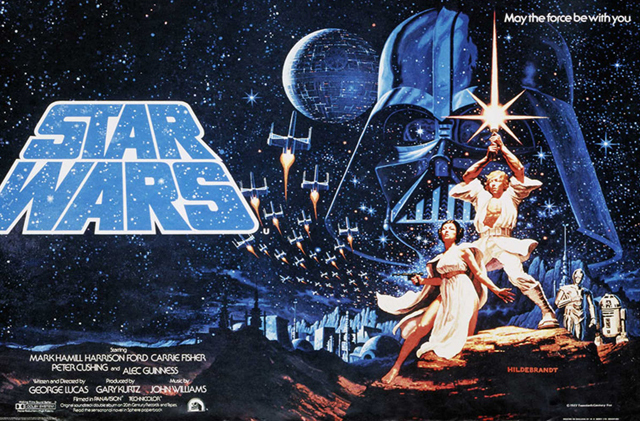 It’s May the 4th, and punsters everywhere have adopted the day as the day to honor one of the largest feature film franchises of all time: Star Wars. NH Episode 21: The Road to the Force Awakens (Star Wars Episodes I-VI)– A long time ago, in Parts-Unknown, Utah and Austin, Texas Matt and Trevor sat down and discussed the whole Star Wars saga up until that point. The good, the bad, the ugly. It was the time of the Disney transition for Star Wars, and the boys talk about the saga, the prequels, the state of the expanded universe, and the future of the franchise. NH Episode 22: Arrival at the Force Awakens (Star Wars Episode VII)– No big deal, it’s just a box office shattering juggernaut that represents the collision of a successful property with a hugely successful entertainment conglomerate. The Nighthawks are here to talk about it. What follows is the absolutely spoiler-ridden podcast, wherein Matt and Trevor get downright granular on their discussion of the first film in the JJ Abrams era of Star Wars. NH Episode 55: Star Wars Episode VII: The Last Jedi– Matt and Trevor wander into the battleground as they opine about the latest film in the core Star Wars saga. A movie that has proven to be divisive among fans, it seems like you either love it or hate it. The Nighthawks have their own opinions about the film. They also, in a not-too-surprising meta twist, have their own opinions about your opinions. Then again, the movie seems to have an opinion about all of our opinions. Director Rian Johnson, of LOOPER and BRICK fame, takes the 2017 edition of the Star Wars franchise into bold new territories, subverting expectations, forging ahead, and putting its own brand on the beloved property. Did they go a step too far? Meanwhile, the political conversation continues to boil. Is The Last Jedi an allegory for our modern political spheres? Our modern pop culture fan spheres? Both? Or is this Carababba tabac cigarra just a cigarra? Join us at the conceptual Nighthawks cafe as we avoid the Star Wars Christmas Special, and talk about the wars among the stars that you want to hear about. Disagree with us? Agree? Let us know.